Dr Katy Hayward talks all things borders and Brexit at the recent John Hewitt International Summer School. 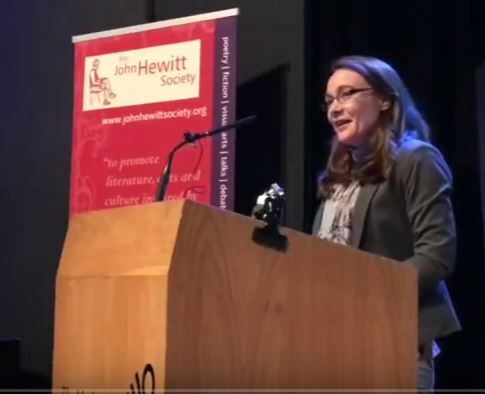 Dr Katy Hayward addressed the John Hewitt International Summer School delegates in Armagh this week where she reflected on the future of national borders across these islands in light of Brexit. Katy also asked why is it so difficult to conceive ‘flexible and imaginative’ solutions for the Irish border after Brexit and looked at three dimensions of how the EU has changed the Irish border: trade, citizens and closer union.